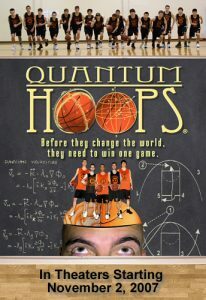 Disney and Ben Stiller’s Production Company ‘Red Hour’ Will Make ‘Quantum Hoops’ Based on The 2007 Documentary!!! The script will be written by Stan Chervin who adapted the book ‘Moneyball’ in to a film with Brad Pitt and Jonah Hill which will be coming out soon. The trailer below to the 2007 documentary looks amazing. I have not seen this yet, but I will not. I hope it doesn’t turn out to be ‘Dodgeball’ in any way shape or form. This story is much more than that. Check Out The First Trailer For Ben Stiller’s ‘The Secret Life of Walter Mitty’!!! This entry was posted on Monday, August 8th, 2011 at 6:09 pm	and is filed under Film, News. You can follow any responses to this entry through the RSS 2.0 feed. You can skip to the end and leave a response. Pinging is currently not allowed. « BRYAN’S MUST OWN BLURAY/DVD’S FOR THE 1ST WEEK OF AUGUST!! !